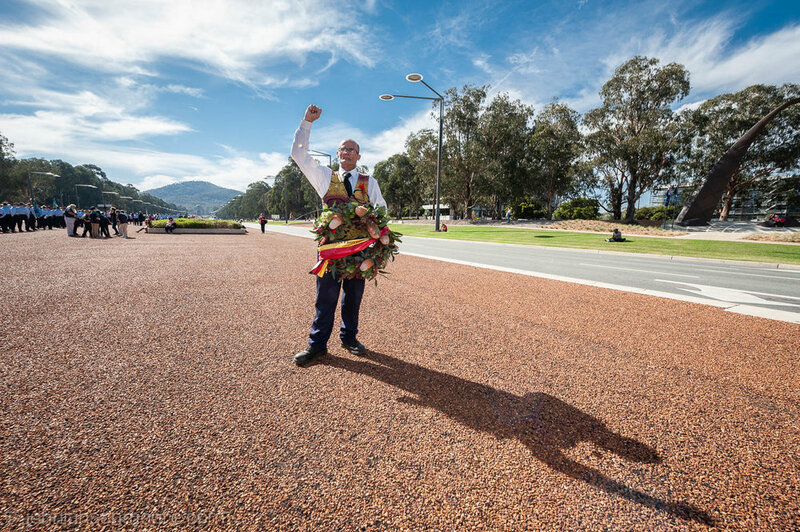 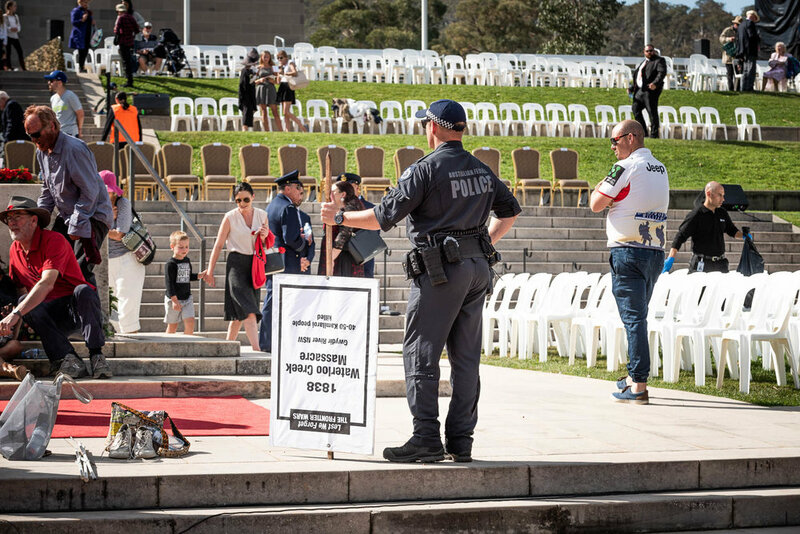 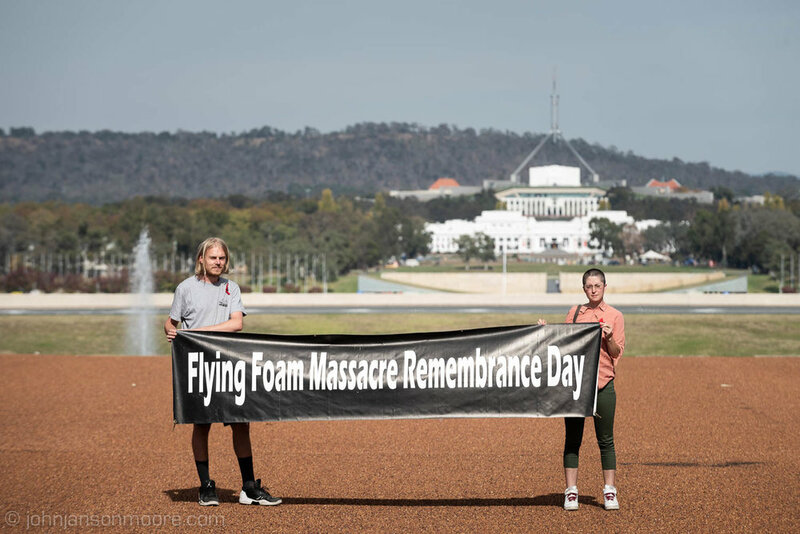 Yesterday, on ANZAC Day, around 100 people marched behind the official ANZAC parade in Canberra, to lay a wreath at the Australian War Memorial to commemorate the Frontier Wars. 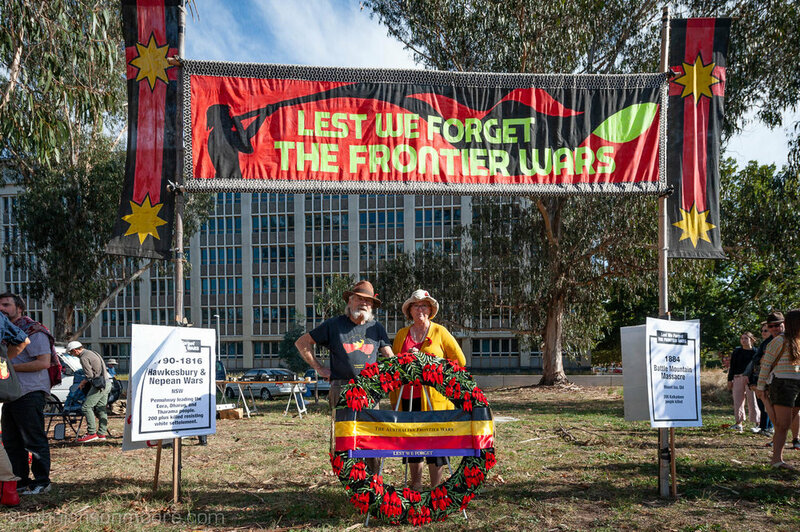 The Frontiers Wars was a series of wars between the invading British and Aboriginal nations, starting when Captain Cook's landing party fired on Gweagle people in 1770. 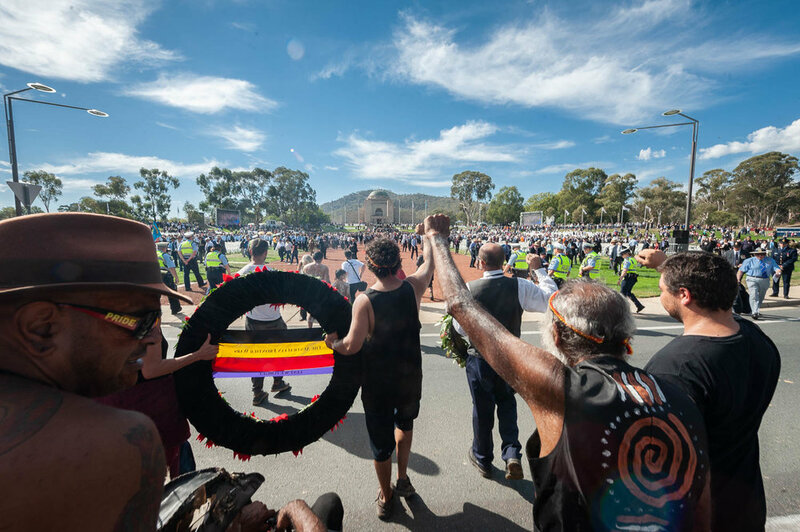 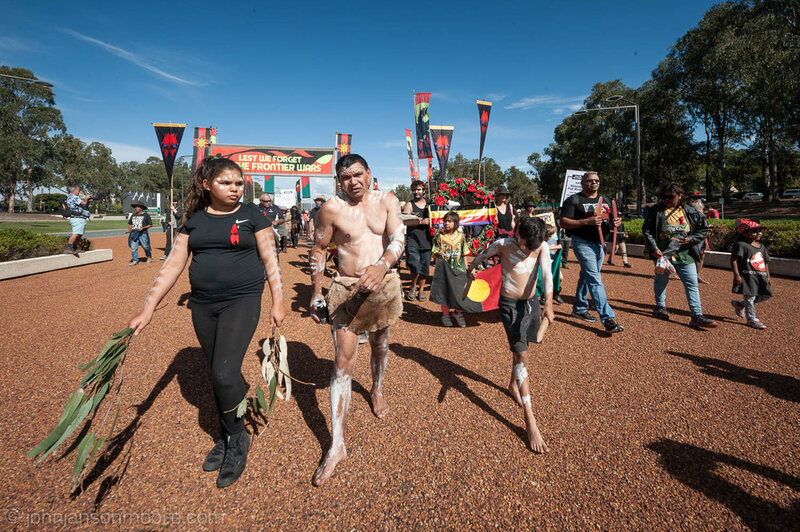 The Wars spread across the entire Australian continent during colonisation, decimating Aboriginal populations and their cultures. 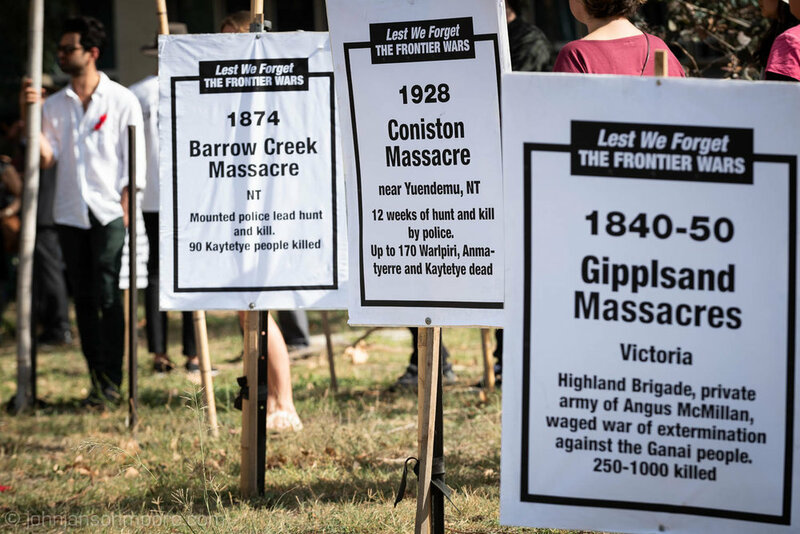 Countless massacres by the British are hallmarks of these conflicts. 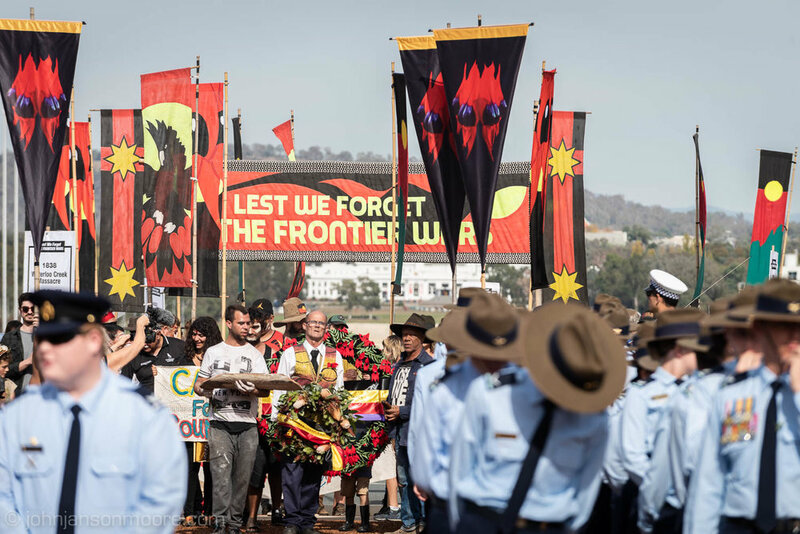 Nevertheless, there was desperate resistance by Aboriginal peoples against overwhelming odds. 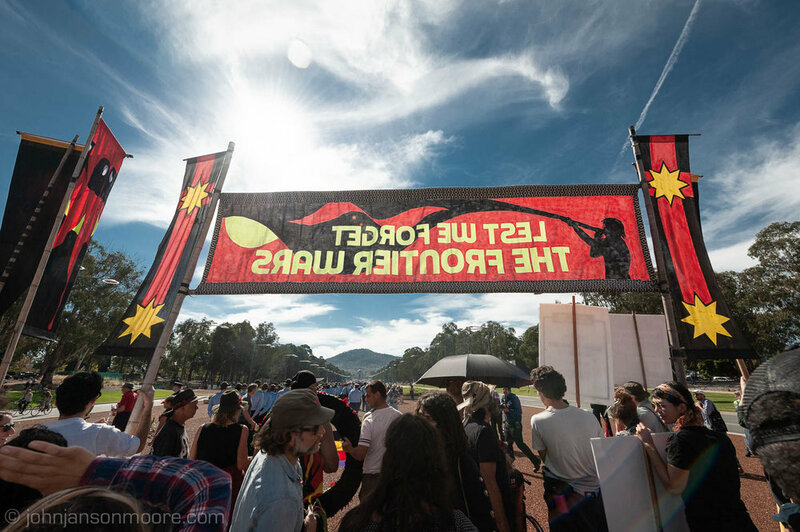 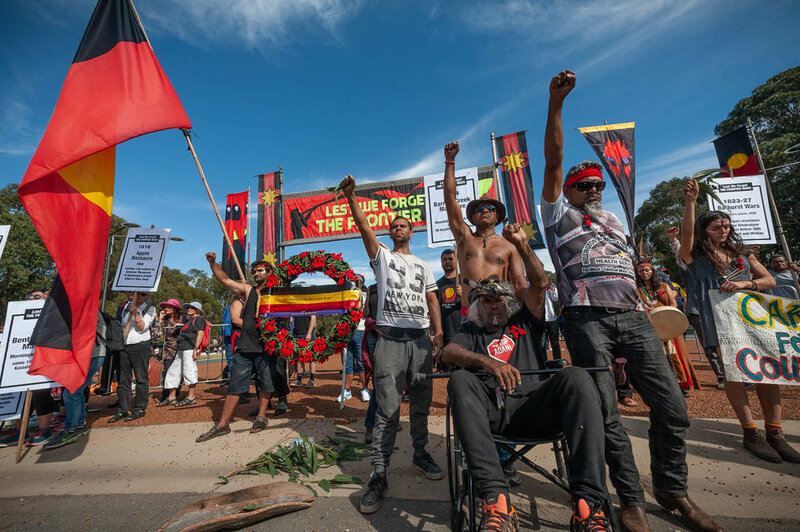 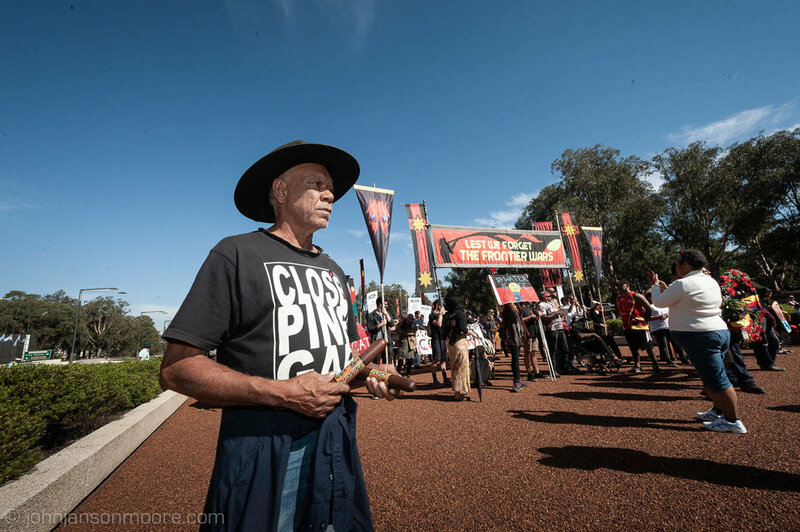 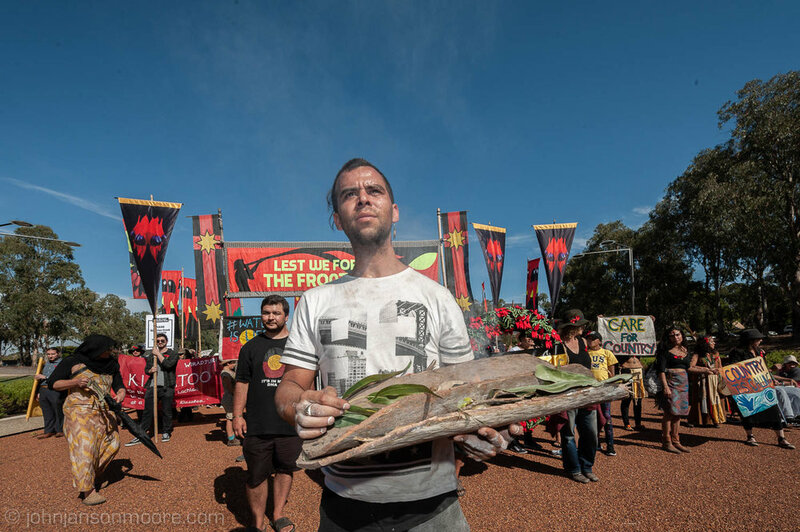 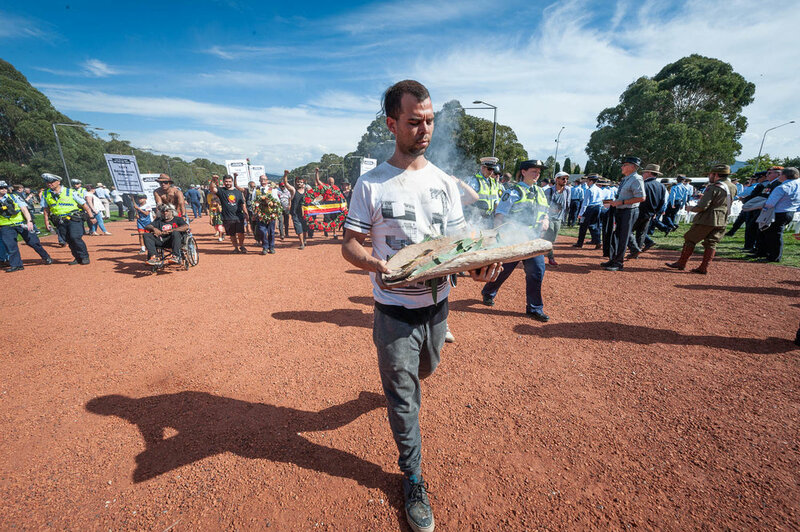 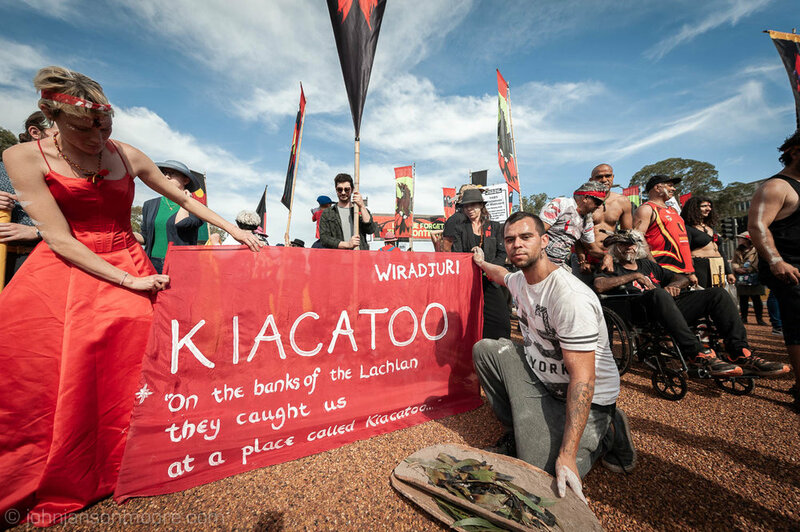 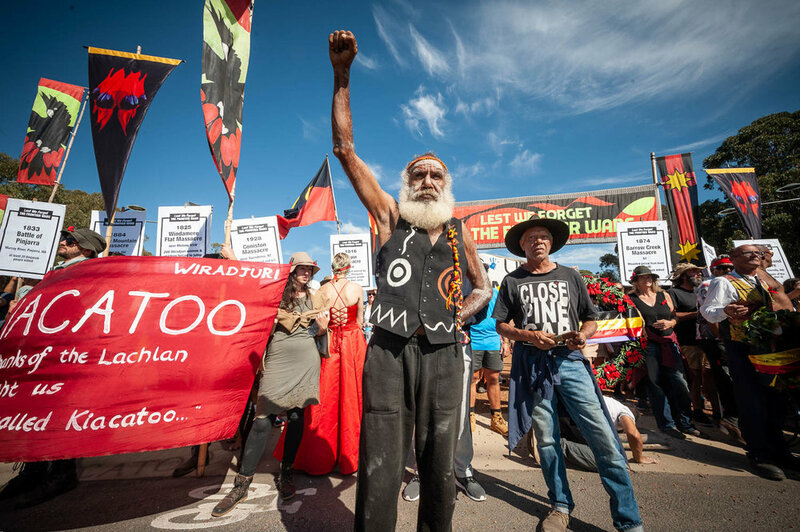 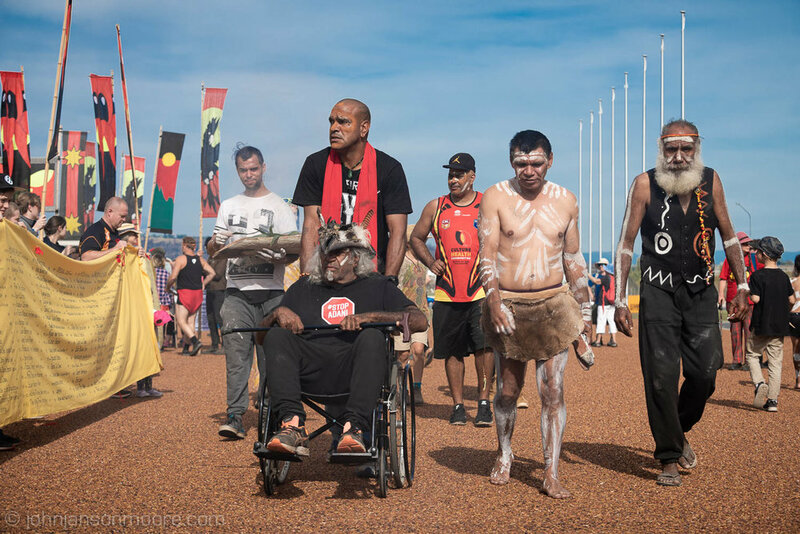 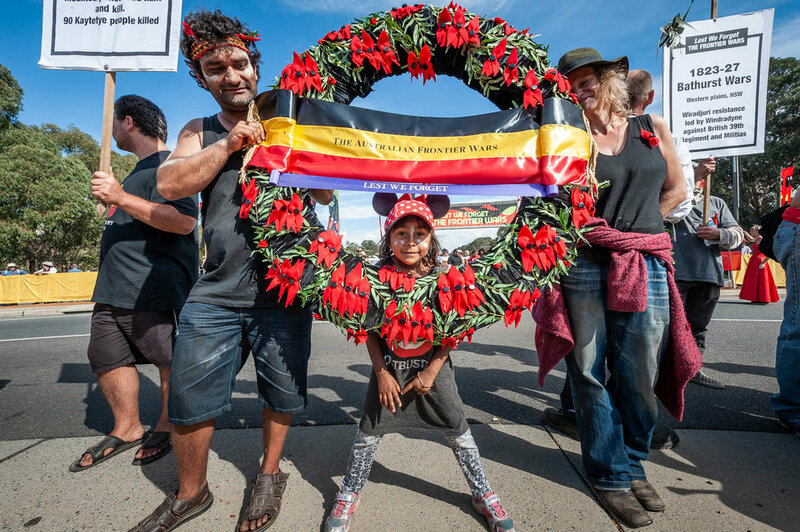 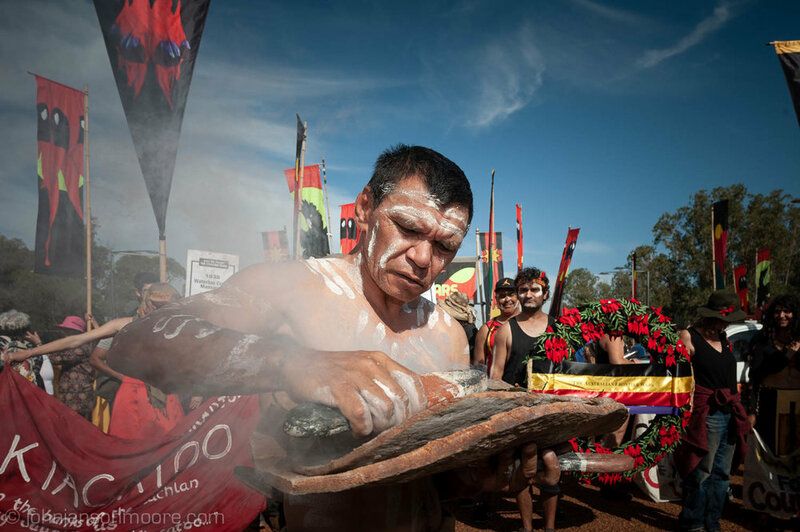 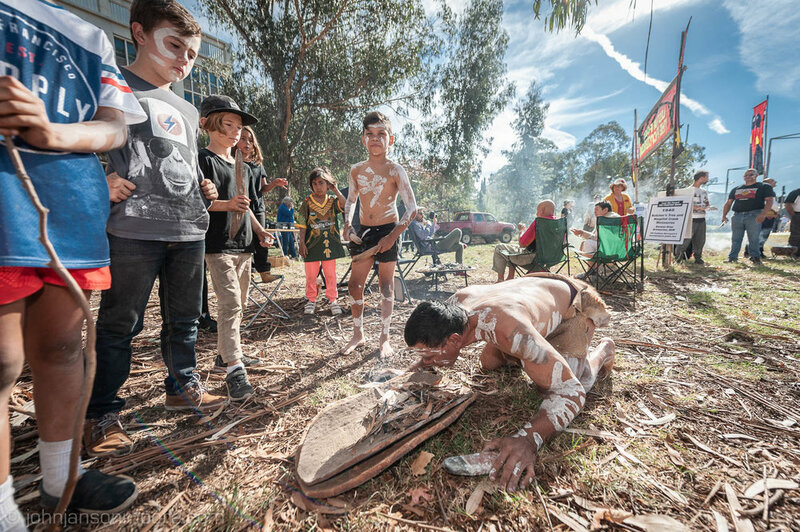 Yesterday's march began with a solemn smoking ceremony at the Aboriginal Tent Embassy, before heading to the Australian War Memorial for the march.